Pick up Capcom’s latest crossover fighter for a little less this week. 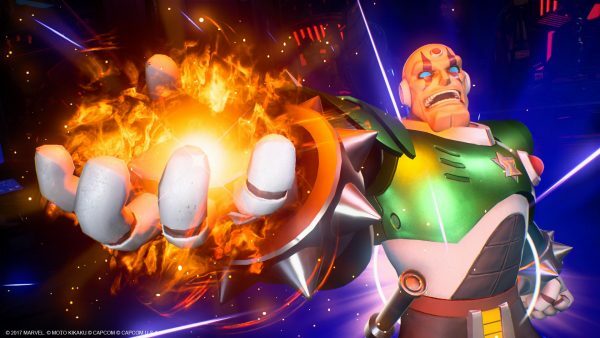 It’s only been out for just over a month but already, Marvel vs. Capcom Infinite is seeing some pretty serious price cuts. In the UK, if you head over to Base right now, you can pick up a copy of the game on either Xbox One or PS4 for its lowest ever price – £24.85. With DLC characters on the way, it’s not a bad time to jump on board with the game, which received fairly mixed reviews when it launched last month. The majority of reviews seemed to praise the game’s actual mechanics and overall feel, but critics were less happy with the art style choices and character models. At the newly reduced cost, you can feel free to grab a copy and judge for yourself.